The Russian government has announced it is ready to reduce spending on the most significant budget line - defense and security – in view of the threat of depleting the Reserve Fund, the Russian service of Reuters wrote on Tuesday. "It is true that spending on defense and security is very significant. It is quite clear that it is due to political considerations. But at the same time, there are resources for further optimization. 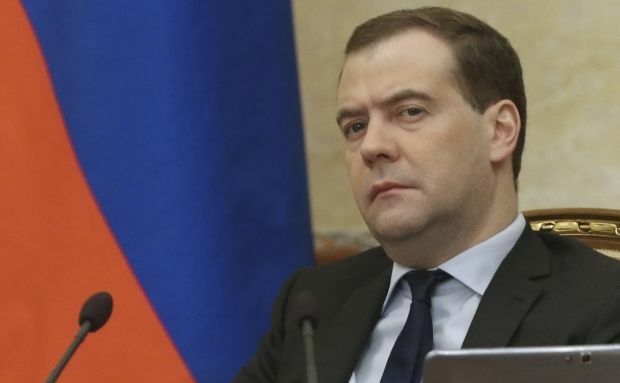 Clearly, we need to do this," Russian Prime Minister Dmitry Medvedev said when speaking at the collegium of the Ministry of Finance. Anton Siluanov, Russia’s finance minister, previously stated that the resources of the Reserve Fund would not be enough to meet the planned budget expenditures, so the excess spending is to be cut by up to $2 trillion rubles. The Russian authorities are in the process of making changes to the budget for 2015, which suggests an increase in the deficit to 3.7% of GDP. It is planned to cover the budget gap caused by recession and declining oil prices by means of the Reserve Fund, which will shrink by RUB 2.6 trillion towards the end of the year. In January-March 2015 Russia’s federal budget was executed with a deficit of RUB 812.3 billion, or 4.9% of GDP.